Darkness into Light takes place this May 12 in 180 countries across the world, with the aim of encouraging all nations to wake up and tackle the reality of suicide and self harm. Since its humble beginnings with one location in 2009, the fundraiser has grown incredibly in a very short space of time. Starting with just 400 people, last year saw more than 180,000 people attend the event. Darkness into Light is in aid of the Pieta House, a suicide and self harm centre which has supported more than 30,000 people since 2006. 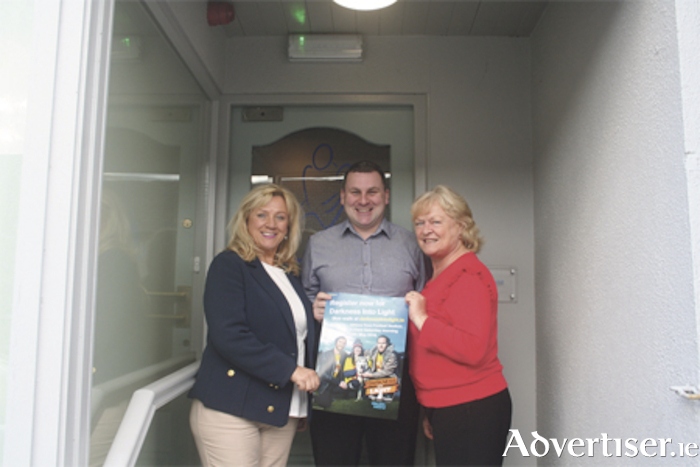 Last October, Athlone became home to a Pieta House centre, which has since helped more than 600 clients in the Midlands area. Gerard Tiernan of Pieta House Athlone explains the grave reality of suicide in Ireland today and its need for global awareness. “At the moment in Ireland we see eight suicides a week and we are a small population. That is eight families lives being destroyed, a whole class or workplace being affected by suicide, it has a knock on effect. The legacy suicide leaves behind is a huge problem,” Mr Tiernan said. With Ireland’s youth having the fourth highest suicide rates in Europe, the unrealistic expectations promoted by the internet and social media play a huge role in young people’s mental health, said Mr Tiernan. “It is not reality, it is not life,” he said. “Young people are thinking that they have to live this life, look a certain way or give out the news that everything is brilliant, but behind that PC or phone it isn’t actually great. Linked to social media, Mr Tiernan says communication levels and self expression are dangerously lacking, something that contributes to feelings of loneliness and loss of hope. “Talking is the biggest thing,” he continued. “If you can talk, it goes a long way. It sounds very simple, but it really is. That is why Darkness into Light works because it brings communities together, like here in Athlone we would have about a 1,500 people walking together. Conversations will be happening. How we as a society engage with one another and the attitudes we have must change too, Mr Tiernan said. Pieta’s services are free of charge and do not require a doctor’s referral. The funds gathered from Darkness into Light go straight into the services Pieta House provides, like such as its professional one-to-one therapeutic service and a 24/7 Helpline that took more than 26,000 calls last year alone. Mr Tiernan said the funds from Darkness into Light will make an incredible impact on Pieta House’s work. Darkness into Light will take place in the Athlone Town Stadium from 4:15am and registration can be made on-line through the official website: http//dil.pieta.ie.